This course provides an excellent overview for construction employees, laborers, supervisors, and foremen with safety and health responsibilities and for employees involved in safety teams and committees and general work duties. The course will provide an introduction to OSHA policies, procedures and standards and basic occupations, as well as safety and health principles. Special emphasis is placed on the most hazardous areas covered by the OSHA standards. Prepares participants for OSHA inspections and helps each person to understand how OSHA regulation affects the job site. Upon successful completion of the course, participants will receive an OSHA construction safety and health 10-hour card. OSHA does not allow us to count break time as teaching time. An OSHA 10-hour class must therefore be scheduled across approximately 12 hours to allow time for hourly breaks and possibly meals. OSHA does not allow us to teach an OSHA 10 in one day, so our OSHA 10 classes are conducted over a 1-1/2 day period. Our instructors help to identify safety and health principles that help you meet OSHA requirements. Special emphasis is places on areas in construction that most commonly result in worker injury or property damage. This course provides a comprehensive safety training experience, an introduction to OSHA policies, procedures and standards and basic occupations, as well as safety and health principles. Additionally, the course covers a wide range of workplace hazards covered by the OSHA standards. Students will leave the course with an excellent working knowledge of OSHA and how it affects them in their work. Upon successful completion of the course, participants will receive an OSHA general industry or construction safety and health 30-hour card from the US Department of Labor. The OSHA 30-hour course is a five (5) day course. This is due to a maximum time limit of 7.5 hours in the classroom. We provide customized safety training in a variety of topic areas to provide you with a means to meet the intent of OSHA’s Designated Competent Person. Typical course subjects include but are not limited to Fall Protection, Forklift Safety, Silica, and Confined Space. Fall Protection has steadily remained at the top of OSHA’s Top 10 Most Frequently Cited Violations list for years. For the past several years, OSHA has been actively promoting a nationwide campaign to prevent falls. The amount of accidents and deaths that could have been prevented with the proper use of fall protection is staggering. However, falls continue to be the number one cause of work-related deaths in construction. There are two specific Fall Protection Training Courses, one for Authorized Person and one for Competent Person. These courses are designed to provide the training required under OSHA regulations 29 CFR 1926 “Subpart M”. The purpose of this fall protection programs is to establish guidelines to protect all employees engaged in outdoor or indoor work activities that expose them to potential falls from elevations. The courses will help participants identify the dangers in and around the work place associated with fall hazards and how these risks can be minimized by knowledge through training and the corrective measures needed to work safely. Duration is courses usually running 8 a.m. – 5 p.m. each day the courses are designed for facility, site supervisors, and workers using fall protection who must also serve as the authorized person or competent person required by OSHA 1926.32(f), 1926.500 and 1910 standards. Participants are assigned tasks which require evaluation for fall hazards. The tasks are described using real-life site photos. The training provides detailed coverage of the Fall Prevention & Protection Training course materials and the following program topics. The courses also supply the participant with the knowledge and skills to perform the annual inspection and record keeping. Fit test, donning procedures, selection and application of equipment. Course Materials Include: Reference materials including fall protection plan outline, course completion certificate and wallet card as requested. PowerPoint literature, “Subpart M” Standards, Course Completion Certificate and wallet card. Call for pricing, to schedule a course for your company and specifics for these courses. Competency Based Training or Hands on Training for safe operation of forklifts requires a solid foundation of knowledge and ability. The forklift hands on training is provided around skill-specific scenarios designed to demonstrate operator basics, highlight areas for trainee improvement, and present more challenging techniques. Drive and steer the forklift around objects. Maneuver in confined spaces. Handle different fragile or sensitive loads without damaging them. Load and unload in challenging conditions. Avoid collisions. Hands on provides for the practical part of the course and to show competency. How to teach safe procedures and maintenance. Pre-start safety inspections and preventive maintenance. 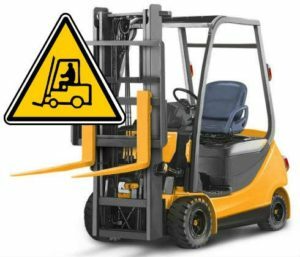 Design considerations, although there are many different types of lift trucks, there are certain basic design and operating principles. Moving the truck, scanning for hazards, operating safely around pedestrians, keeping a safe following distance behind other trucks, etc. Picking up load, setting down the load, positioning the truck to unload, positioning the load, moving away from the load. Hands-on training practical demonstrations, students will drive trucks applying lift truck safety skills and operations. Course Materials Include: Participant Workbooks with interactive activities, charts and checklists, certificates of completion to be personalized and proudly displayed, as well as wallet-cards to identify successful participants as trained operators, and other student materials. Participants will gain the knowledge and skills to clearly identify, define, and explain hazards and acceptable corrective measures for Confined Spaces in construction operations in accordance with 29 CFR 1926, Subpart AA. This course is recommended for inspectors, auditors, safety, construction workers, and health professionals and those personnel involved with roles in confined spaces and permitted space entry in construction. There are two specific courses for Confined Space and is based on the specific jobs a person will be involved with the confined space. Course one 1. Confined Space Entrants and Attendants and 2. Confined Space for Competent Person. Confined Space Entrants and Attendants: construction industry 1926.1200 is a 4-hour classroom-based program designed to help employees understand the fundamentals of a confined space program and entering/monitoring those work areas. Attendees will be asked to supply gas monitors and tripods thus becoming familiar with the equipment they will be expected to use. Additionally, a copy of company’s confined space program (along with permits) will also be necessary. Confined Space for the Competent Person: construction industry 1926.1200, is taught in an 8-hour segment, this course is designed to help attendees meet the “Competent Person” status for confined space. First segment is classroom direction where participants will have hands-on and multimedia instruction. Second segment will present attendees with setting up tripods, reviewing gas monitor procedures and personal protective equipment use (including personal fall arrest). Third segment presents a review followed by a test. Upon successful completion, workers will then set up a confined space scenario and explain rescue procedures that can be used. Participant Workbooks with interactive activities, charts and checklists, certificates of completion to be personalized and proudly displayed, as well as wallet-cards to identify successful participants as trained operators, and other student materials. The Silica Hazards for the Competent Person course is designed to provide the necessary information and training needed for an employee to implement their company’s Exposure Control Plan as required by the OSHA Silica Health Standard for Construction, 29 CFR 1926.1153. Participants will learn the Health Effects of Silica, Competent Person Duties (Implementing the Exposure Control Plan), Equipment Requirements, Work Practices, Medical Surveillance and more. Safety meetings, when held on a regular basis, puts safety in the front of our minds. 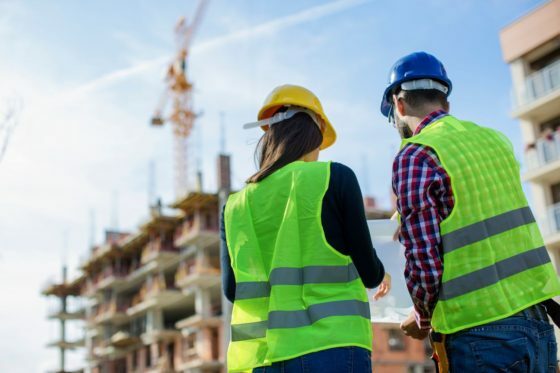 Though every safety professional can tell you why it is important to have them, or attend them, often times it is difficult to keep an employee’s attention. By keeping safety meeting topics fresh, current, and relevant, helps to get the message across. We offer many variety of safety meeting topics and training courses. Here are a few of the topics offered. Don’t see a topic here that is specific for your needs? We have access to additional topics, and certification course. Please let us know what you need. Introduction to OSHA – This course provides the basic general awareness of OSHA standards and practices in the work place. Participants will be able to understand what OSHA is, be able to describe the Occupational Safety and Health (OSHA) Act, explain how the General Duty Clause affects employers, be able to identify the different types of OSHA violations, understand how OSHA conducts inspections and understand Employers’ and Workers’ Rights and Responsibilities. (1 to 2 hours in length); Certification period – 1 year. OSHA Record Keeping – This course covers 29 CFR 1904.0 Recording Keeping and Reporting of Occupational Injuries and Illnesses. This class will help to show the importance of OSHA record keeping and reporting. After completing this class, participants will be able to: Recognize the importance of OSHA record-keeping and reporting, identify the workplace actions that are in compliance with the OSHA record-keeping and reporting requirements, distinguish between OSHA record-able and non-record-able cases, apply the appropriate procedures for determining if a case is OSHA record-able, and determine the appropriate category for a recordable case. (1 to 2 hours in length); Certification period – 1 year. Personal Protective Equipment (PPE) – this course covers CFR 1910 OSHA standards related to use of personal protective equipment in the work place. Within this course the student will understand the PPE hazard assessment process, how to select the appropriate PPE for the job how to properly wear and care for the PPE and to demonstrate the wear and care skills for PPE used in the workplace. (1 to 2 hours in length); Certification period – 1 year. Electrical Safety – This course provides training for unqualified workers to identify common electrical hazards and follow safe work practices. Participants will be able to describe how electricity works, identify common electrical hazards in the workplace, and describe safety work practices around electrical equipment in the workplace. (30 minutes to 1 hour in length). Hazard Communication – This course covers CFR 1910 sub-part Z, Toxic, and Hazardous Substances Awareness, interpretation of warning labels, identifying and utilizing Material Safety Data Sheets (MSDS), and describing how personnel can protect themselves against hazardous materials. Within this course, participants will be able to describe the hazards of materials in the work area, interpret information on warning labels, identify and utilize Material Safety Data Sheets (MSDS), describe how to protect themselves against hazardous materials, and how to respond to emergencies involving hazardous materials. (1 to 2 hours in length); Certification period – 1 year. Respiratory Protection – This course covers CFR 1910 sub-part I, Respiratory Protection and the awareness of using respirators in the work place. After completing this course, the participants will be able to identify the hazards of airborne contaminants, identify and use appropriate respiratory protection, recognize the limitations and capabilities of respirators in the workplace use respirators under dangerous or emergency conditions, and understand procedures for medical evaluations and recognize the medical signs and symptoms that may prevent effective respirator use. (1 to 2 hours in length); Certification period – 1 year. Walking and Working Surfaces – This course provides students with a general awareness of risks of slips, trips and falls in the work place and how to avoid them. The course is intended to meet OSHA requirement 29 CFR 1910 Sub-part D. Course Length: 1 hour. Certification Period – 1 year. CPR/ AED – CPR & AED for the Community and Workplace is a basic life support program for laypeople who want or are required to have CPR and AED knowledge and skills, including emergency response teams in the workplace, school bus drivers, adult residential care personnel, child care workers, teachers, parents, and babysitters. (ASHI First Aid CPR Programs based on the International Liaison Committee on Resuscitation or ILCOR).